David has been the CEO of AWAHS since September 2008, bringing with him over 15 years experience in management of community health services in NSW. David has his bachelor in social science with majors in psychology and criminology. 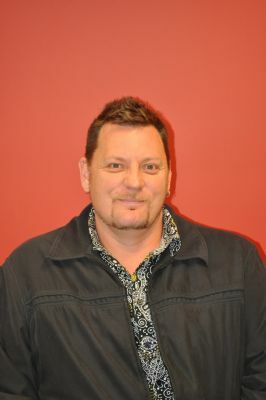 David is responsible for management and functionality of AWAHS. David loves his job because he gets to work with the community and improve access to health services. In his spare time, David enjoys spending time with his family, watching movies, reading and playing with his dogs, he also enjoys being outside with no shoes on. Karen is the Executive assistant to the CEO of AWAHS and has been since 2014. She works along side the CEO and is responsible for organizing the CEO’s documents, calendar and meetings. Karen loves her job here because she has a good working relationship with the CEO and loves working with the community and the staff here at AWAHS. In her spare time, Karen enjoys watching movies and motorbike riding with her husband. Rowan is the IT Manager here at AWAHS and has been with us since 2011, also working as the IT Project Manager for NSW Health he brings over 20 years of experience working in IT. He is responsible for everything IT at AWAHS from IT infrastructure to data reporting, and as IT project Manager he is currently rolling out the new electronic oral health system throughout NSW. Rowan loves his job here at AWAHS because he gets to do what he loves, everything techy and nerdy and also because he gets to work with the community, he says without them, he wouldn’t be where he is today. In his spare time, Rowan enjoys kicking back and relaxing, reading, playing games, watching TV and exercising, as well as socializing. Commencing in 2016 Jovie is the Continuous Quality Improvement Coordinator here at AWAHS and is responsible for embedding a quality framework to support the delivery of a quality service to the community. She ensures the service is reporting on and meeting accreditation standards and provides support to staff to work on quality projects to improve health outcomes. Jovie has previously worked as a Regional Support Program Manager for a Community Services Organisation and has also worked in Youth Services. Commencing at AWAHS in 2018, Dianne is the HR Manager bringing with her a wealth of HR knowledge and experience. Dianne has previously ran her own HR Consultancy business specialising in making workplaces amazing, she has also worked at TAFE in Education, Local Government and in the Health Sector. Raised on a farm between Henty and Culcairn, and previously living in Canberra, Sydney and various places overseas she now calls Albury home.